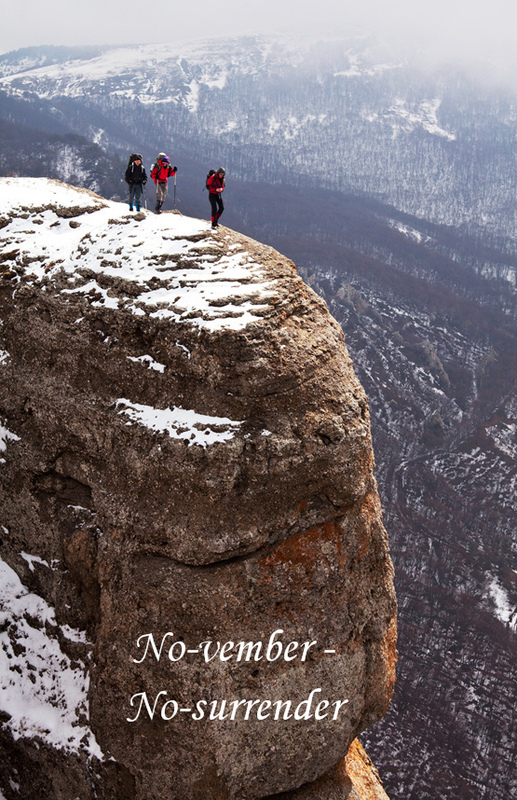 Welcome to the 1st of November 2013 Our motto shall be: No-vember – No Surrender. We cannot allure to surrender, this should be our motto for this month. Surrendering leads to failure. Failure leads to depression, depression leads to regression. Regression makes you head in the wrong direction. The wrong direction will certainly makes things go wrong and ultimately this leads to a common lifestyle, suppression. To make your life and your goals work you need to be uplifted from suppression. Quote of the day: ‘November can work for you if you are willing to refrain from surrender no matter how compelling your workload really is. If you choose to surrender then you carry into the next month uncompleted tasks and compounded workloads.’ If you choose a particular lifestyle bespoke to your needs then you earnestly need to stick to your guns and get on with it. Hanging up your hat makes you the procrastinator of the day and the failure of the future. The undeniable quest for November is to choose workloads that you can cope with and not to take on more than you can choose. Taking on more than you can choose will ultimately make you surrender, abandon your projects and give up. Don’t carry this mind-set with you, it will ultimately lead to your untimely failure. My objective is to ensure that you reach the pinnacle of your Success. Your objective to select a lifestyle befitting to your needs and desires. Your chosen lifestyle has a workload attached to it. Can you cope with this workload consistently, constantly and diligently? If you can then in November you shall never surrender!